According to research we did a few years back, loneliness is one of the top three concerns of women going through divorce …. along with children and finances. For me, during my divorce journey I was surrounded by wonderful children and family and friends and a church, but I still felt this heavy oppressive loneliness in my heart. I felt displaced. I felt disposable. I felt empty. 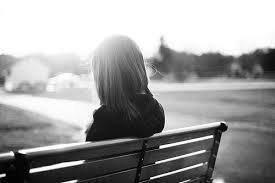 But looking back, I learned a lot during that time of loneliness. For one thing, I learned to re-name it. To reconfigure it. To try to give it a positive aura instead of a negative one because there is such important work going on during those times alone. I renamed it for myself …. with the help of theologians, and philosophers and wise, regular people. I started using the term “solitude” instead of loneliness. Amazing truths are discovered in solitude. In fact most of our important personal discoveries are made when we have time to ponder and reflect — and that simply can’t be done without time alone. This divorce alone time is agonizing at first. But we can decide to use this rare gift of lots of alone by ourselves to refine our thinking, — to make us ponder why we’re here and to think seriously about what we’re supposed to be doing. Extend Yourself. “You cannot connect if you isolate yourself—or if you only connect online where many people present a non-authentic self,” Dr. Cacioppo says. Accept social invitations, even if you don’t feel like going out. Develop an action plan. It isn’t enough to rely on random invites. Get your calendar out and map out your social life. Make sure your week is scattered with social activities. If you don’t have any, take the initiative to plan something and invite others to join you. Share good times with people who have similar interests. The best way to not be lonely is to spend time with folks who share your interests, values and attitudes. If you don’t have people in your life who fit the bill, it is time to make a plan to meet more, which will require going to the right place. Love to read? Join a book club. Love to run? Join a runner’s group. My new anti-loneliness antidote? I adopted a puppy. Scout demands that we get out of the house—multiple times a day. She happily makes friends with everyone she meets. And if the people we meet like Scout, it is a pretty good bet I will like them. If you’re a member of the MDRcommunity, let us know your tips for overcoming loneliness or using this time of solitude for reflection and personal growth. Take a look at the conversation started by Nina about embracing a time of solitude to figure out more clearly who she is now and what she envisions for her life going forward and how to make those new visions a glorious reality. If you’re not a member of the MDRcommunity, go to www.midlifedivorcerecovery.com and on the home page under MDRcommunity there is a button “CLICK HERE” where you can find out the options for becoming a member. We’d love to have you on this safe protected site of women sharing encouragement and venting and celebrating victories with each other. You are not alone. Join the Warrior Women on the site and share your concerns and wisdom, too.